Today, this last day of July 2011, The PRDude will dispense, somewhat, from the rhetoric that has graced these pages (can I say that with a blog?) since September of 2009. You loyal followers know that I began chronicling my job search and commenting on many topics related to public relations; then, the blog “transitioned” into whatever inspires me at a given time. Today, on a sun-kissed Sunday, I’ll provide you with a travelog of sorts. 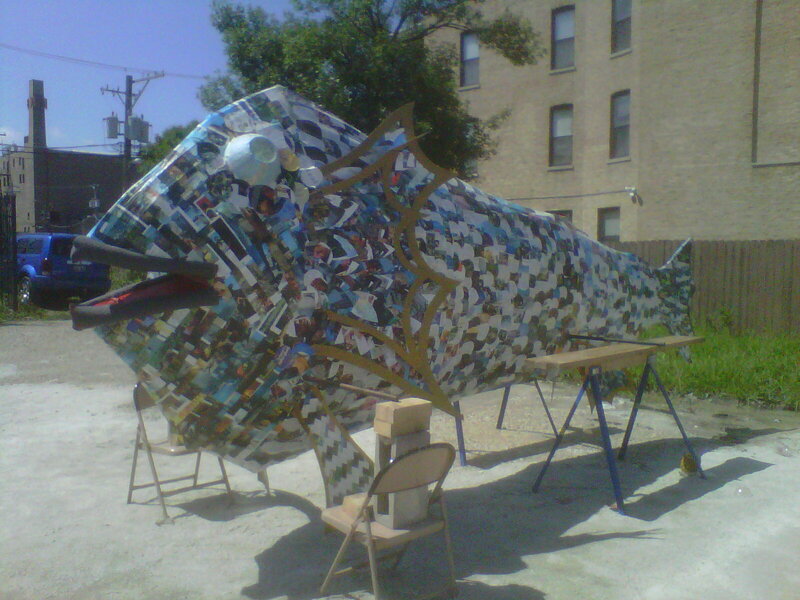 What follows is a snapshot in pictures taken on my trusty Blackberry Curve featuring an hour spent strolling through Chicago’s coolest neighborhood — Logan Square. First, being an ethical public relations practitioner, I will offer this disclosure: We live in Avondale, the neighborhood just north of Logan Square. But we did live in a beautiful greystone two-flat on Logan Boulevard, so I deem myself qualified to offer these images and commentary. 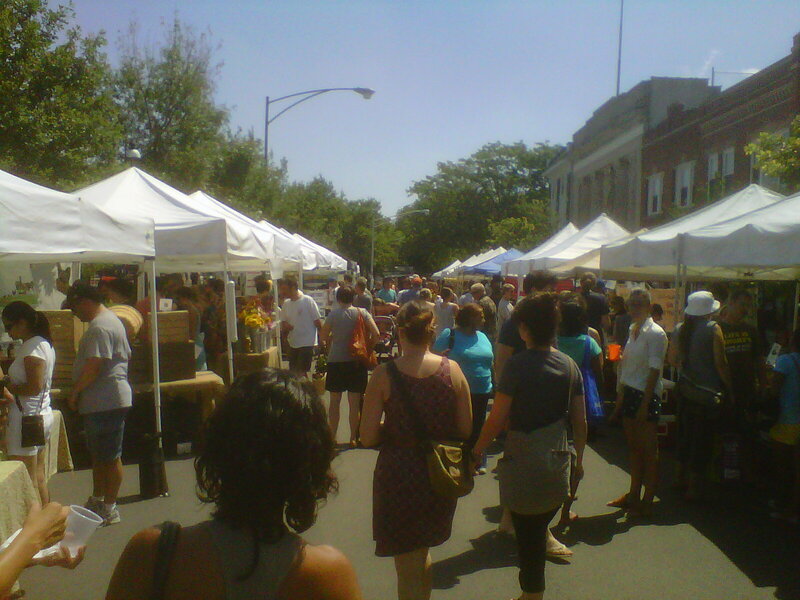 Every Sunday from June to October, hundreds gather along a stretch of Logan Boulevard to enjoy the Farmer's Market. Everyone's welcome. People show off their tats and dogs while shopping. 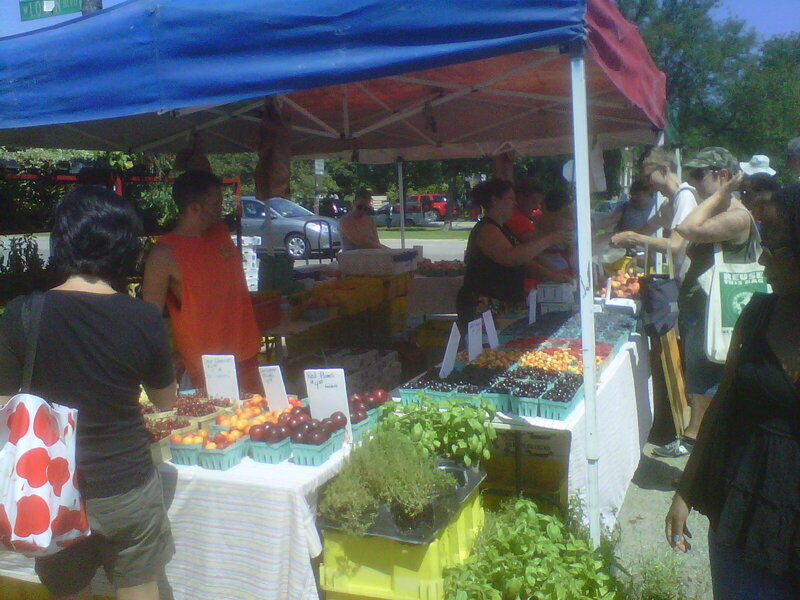 Visitors can purchase lots of good stuff to eat -- from locally grown vegetables and produce to breads, meat, honey and more. But why oh why didn't some farmer offer watermelon! It's July! 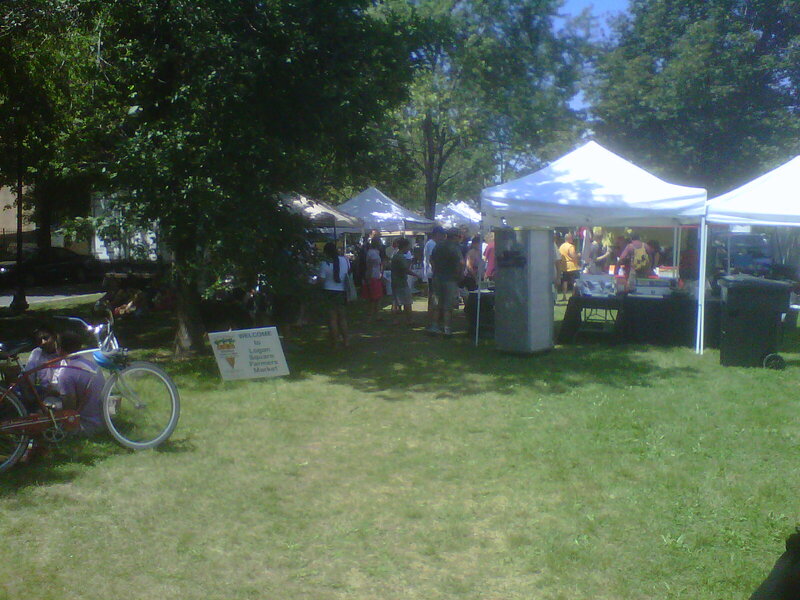 Food vendors have taken over part of the south lawn and offer lots of prepared good stuff to eat. It's like a hip food court. And, we have entertainment! Here there young guys perform old-time music with passion and drive. They don't know any Metallica. I checked. 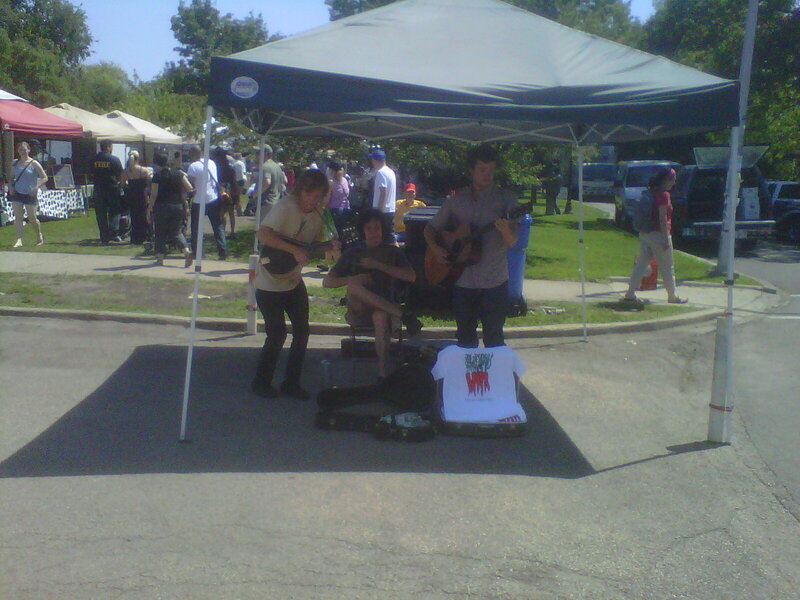 At the nearby Milwaukee Avenue Arts Festival, I caught these guys playing avant garde jazz. A great way to enjoy my cappuccino. 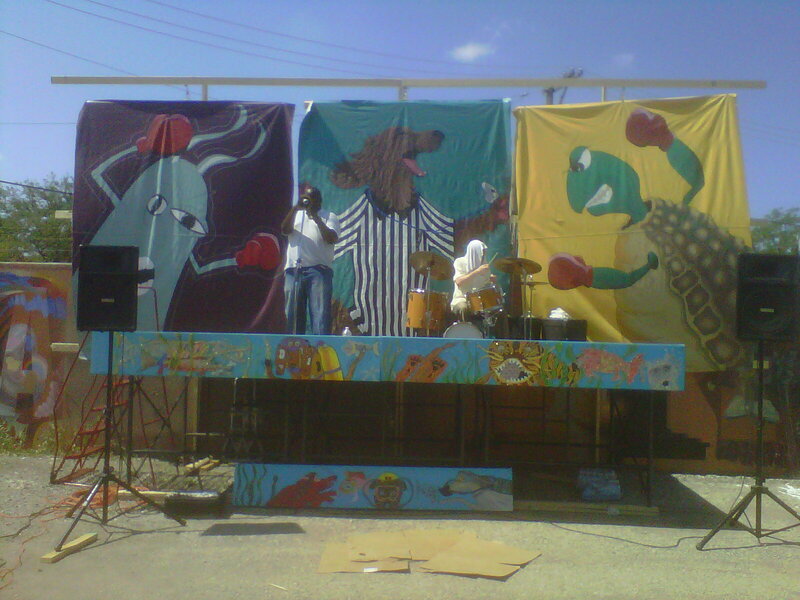 And, what's an Arts Festival without some art! A nice piece, but probably would not fit into our living room. Plus, it might frighten the cats. 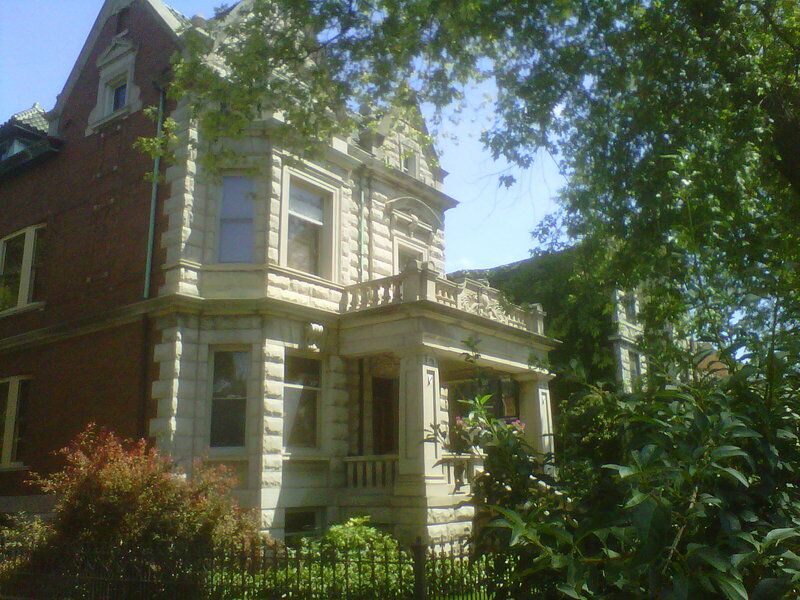 Homes like this mansion, once owned by a prominent local business family, can be found throughout Logan Square. I've been inside the home many times. It's as awesome as you could imagine. Logan Square has history and culture. It contains the best-preserved sections of Chicago’s famed “Emerald Necklace” boulevard network. It’s still relatively affordable and ethnically diverse. Much of the bad crime — gang wars and drug traffic — has been diminished. Cool restaurants, bars and shops have opened. And, we have artists. Lots of artists. Where other parts of my home city of Chicago have hit someplace below bottom, Logan Square has charged ahead — offering a little piece of America to immigrant families, people like me who work in nice offices, entrepreneurs who have a vision of something new to offer, and yes, the artists. Today, a few hundred miles to the east, the men and women we elected to run our government are close to a resolution on raising the debt ceiling. They could have been out this spectacular Sunday, enjoying the time outside, or even taking in a simple American pleasure like visiting a local farmer’s market or arts festival. A note to the President, members of the House and members of the Senate: The next time a “crisis” looms on the horizon, fix it then. You guys and gals are missing out on some of the things that really makes this country great.